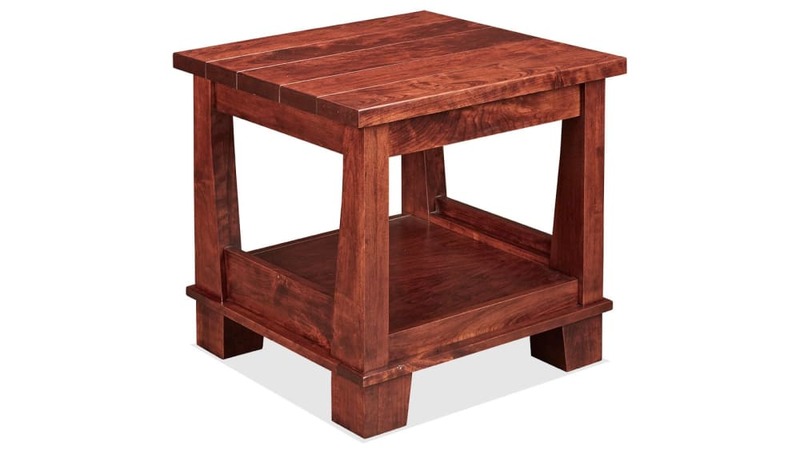 Solid wood construction makes this end table both a stylish and durable living room addition. 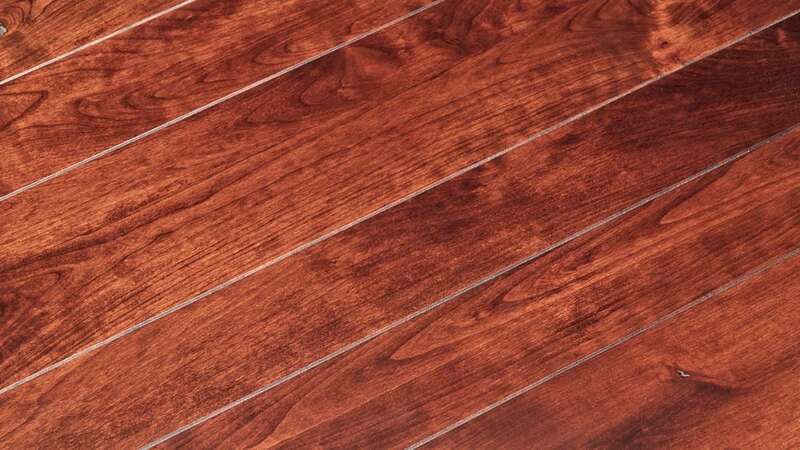 A rich finish brings out the beauty of the wood grain and enhances the design with warmth. 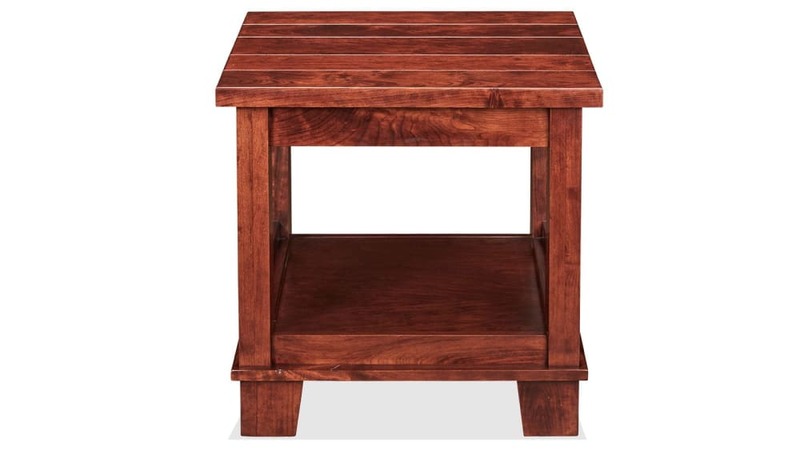 A plank-style surface provides a unique touch to help this end table stand out in your space. American-made construction features durable solid wood, for sturdiness and strength. A lower shelf provides storage space. The plank-style surface adds a rustic touch. 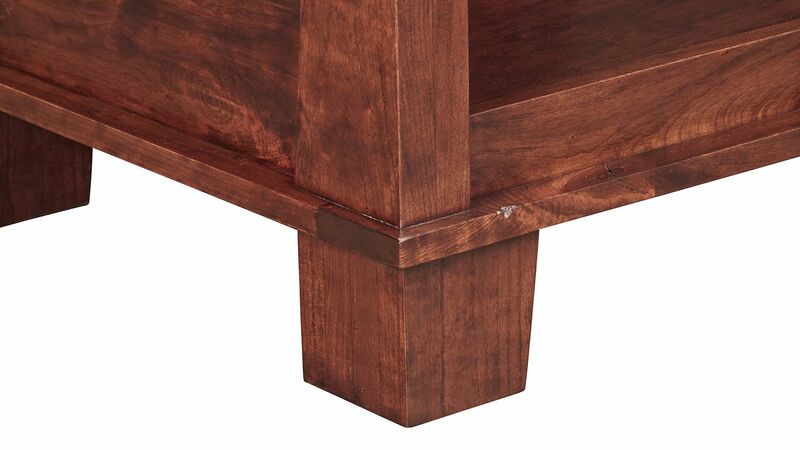 A rich finish washes this end table with warmth.